As production continues on the upcoming eighth Fast and Furious film, Universal Pictures and Omaze are putting together a campaign to raise money for The Paul Walker Foundation with the entire Fast 8 cast. Those donating will be entered to win a trip for two to the set of the new movie in Atlanta, where the winner will go behind the scenes, meet Vin Diesel, Dwayne Johnson, Michelle Rodriguez, Ludacris, Tyrese Gibson, Scott Eastwood and the rest of the cast, get an inside look (literally) at some of the world’s most badass cars, and be put up in a 4-star hotel. 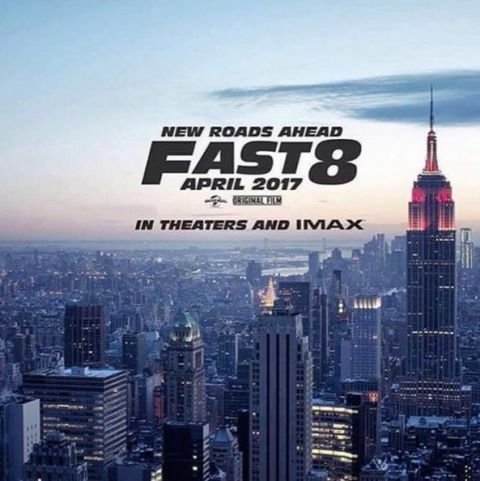 Check out the Fast 8 Omaze video below and donate now! This entry was posted in Actor, Movie News and tagged Dwayne Johnson, Ludacris, Michelle Rodriguez, Scott Eastwood, Tyrese Gibson, Vin Diesel, Win a trip to the Fast 8 set. Bookmark the permalink.